Our Lemonade Brigade trademark is your guarantee that you're getting the original, time-tested ingredients for Stanley Burroughs' Master Cleanse / Lemonade Diet. 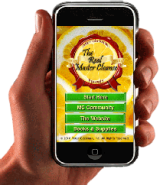 The Master Cleanse is a modified juice fast and gains much of its power from the fasting you do. Adding anything solid, such as protein powder, shakes, gelatin capsules (made from hoofs, tendons, etc. ), or vitamin pills, requires the body to use its energy to digest rather than clean house and rebuild. 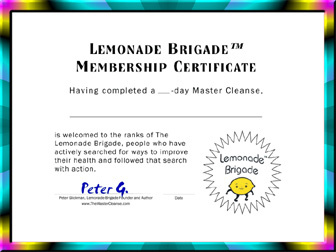 When you complete your first 10-day or longer Master Cleanse, you become a member of the Lemonade Brigade and can display your free certificate and celebrate with our Lemonade Brigade products!